Juvenile law is basically law that deals with a juvenile, a person who has not yet reached the age of majority in the State of Tennessee. In other words, juvenile law deals with anyone under the age of eighteen (18) years old, with a few exceptions. Juvenile law basically falls into two separate categories. One is the juvenile justice court, which deals with children who have been accused of crimes or delinquent acts (acts that can only be committed by a juvenile, with examples being truancy, running away, etc.) Delinquent acts can only be committed by a juvenile, not an adult. Criminal acts, on the other hand, can be committed by both an adult and a juvenile. Some examples of criminal acts include assault, vandalism, and theft. However, whereas a conviction has some long-lasting effects on an adult, a conviction for a juvenile is different in that the main goal of the juvenile court is to rehabilitate the offender, while the main purpose of adult criminal court is to punish the offender. Like adults, juveniles have certain rights, such as a right to have an attorney. However, there are a few exceptions. For example, juveniles are entitled to having their records confidential, whereas adults do not. That is why an adult’s name can be reported in a newspaper, but not a juvenile’s. Likewise, adults have some rights, such as a jury trial and bail, that juveniles do not. What is Dependency and Neglect? Unlike juvenile justice, a juvenile who is considered dependent and/or neglected is not accused of any wrong-doing. Rather, the juvenile is being placed into the custody of the Department of Children Services because his or her parents and/or legal guardians are unable or unwilling to properly take care of them. Often, parents whose children are taken away are filled with a sense of shame, because they believe that people will look upon them as child abusers. However, a parent and/or guardian who is found to be unfit to watch over a child may be so for reasons that are beyond his or her control. For example, a juvenile living with a guardian who is homeless (through no fault of their own) will likely be found to be dependent/neglected. Other examples include if a parent and/or guardian is incapacitated or sick, and cannot properly raise the juvenile. There are other reasons that may warrant removal of a child, such as the parents may be using drugs, may be incarcerated, etc. In all of these cases, the Department of Children Services tries to place the juvenile with another family member and/or guardian. If no such location is available, then the juvenile is placed in foster care. Are juveniles allowed legal representation? 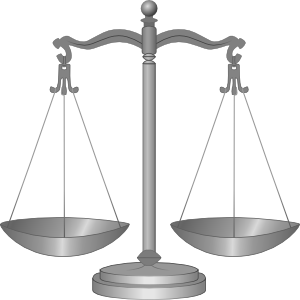 In both courts, a juvenile has a right to an attorney. In the juvenile justice court, the juvenile has a right to hire counsel (usually via his or her parents) or have counsel appointed to them to explain their rights. In dependency and neglect cases, a juvenile is entitled to a guardian ad litem, an attorney who basically looks to the best interests of the juvenile. The guardian ad litem is basically the child’s advocate in the court room, and works to find the best possible placement for the child. My child was taken away by the Department of Children Services. Do I have rights? Yes. As the child’s parent, you are afforded the right to a hearing, usually within seventy-two hours after your child is removed from your custody (excluding weekends and holidays). Most courts hold hearings at least once a week to hear new cases. You are entitled to hire counsel to represent you or have counsel appointed to you for that hearing. However, you can also waive the hearing or ask for a continuance if you want to consult with an attorney first. The process of getting custody of your children back is often time-consuming and confusing, and your success depends on many factors. That is why it is so important to consult an attorney when trying to regain custody of your children. 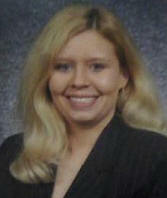 Why should you consider hiring me as your attorney and/or your child’s attorney? I worked as an assistant public defender for four years in McMinn and Monroe Counties. One of my main duties was representing juveniles who were accused of various crimes and/or delinquent acts. I helped my clients throughout their entire cases and helped them with plea deals and hearings, as well as helped them find alternatives that did not include being detained. My experience in the juvenile justice courts makes me a valuable ally to have if your child is accused of a crime and/or a delinquent act. I also have experience working with children who are considered dependent/neglected. I have served as both guardian ad litem and as an attorney to parents accused of dependency /neglect. I know the law and have assisted my clients in getting the best possible outcomes for their cases. I am also very familiar with the laws concerning special education, and am familiar with the needs and/or expectations of the schools and the children who use special education for extra help and/or accommodations in their educational endeavors.